SAMICK maintained KOREA’s leading archery company since 1975. We manufacture the full range of bows for beginners to top experts. We are dedicated to maximize our technical resources and knowledge to produce best quality products. 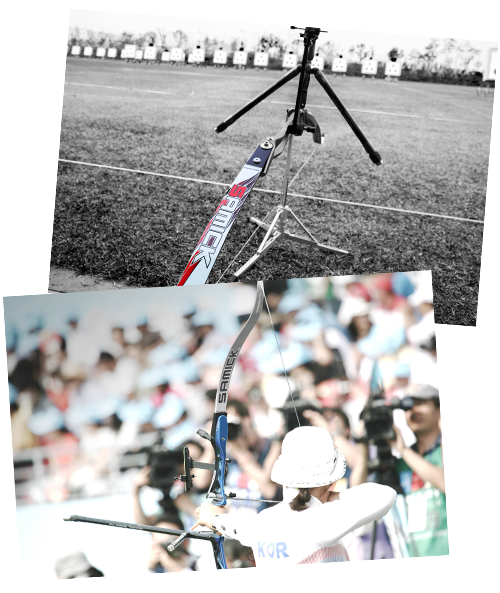 SAMICK products are well proven by archery champions throughout the world in records. SAMICK is the choice of champions and we invite you to the next level of archery. SAMICK provides best products with best quality. We share passion for archery for top performance. Our professional staffs and high quality manufacturing system produces high performance products. SAMICK’s high carbon technology provides archers for better speed, stability and smoothness. Our aluminum technology is best for strength and hardness. SAMICK’s stabilization system absorbs shocks and vibrations. Balancing all the technologies together in our bows, we bring you the best performance.